Your Business Name will be the first bit of information visible on your invoice as it is displayed at the very top. Your business name may be different to your Location Name and for this reason, both will appear on your invoice. 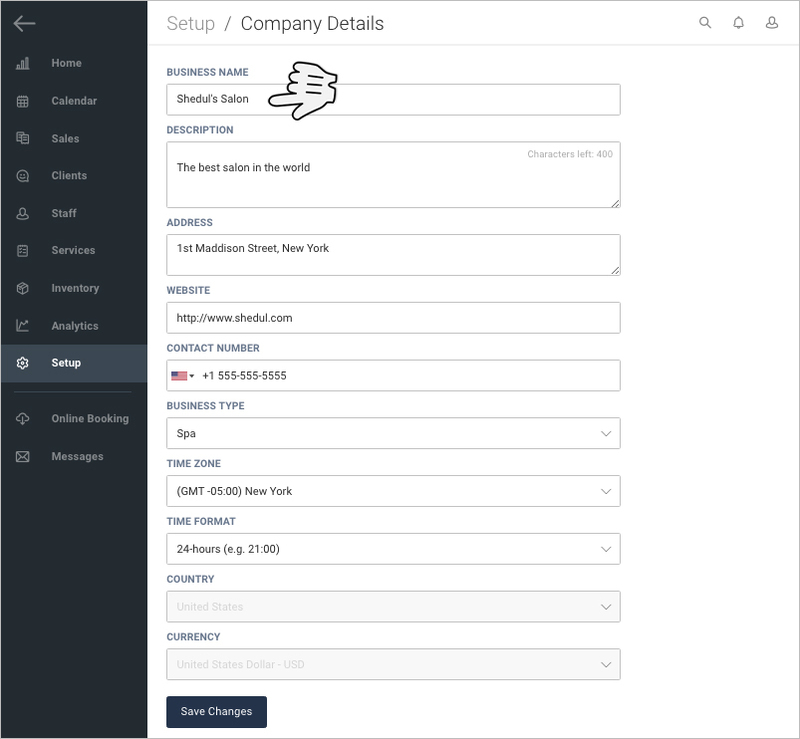 Note: Only the Business Name will be added to invoices from the Company Details section however we recommend filling out all the fields so we can provide more specific support should you need it. 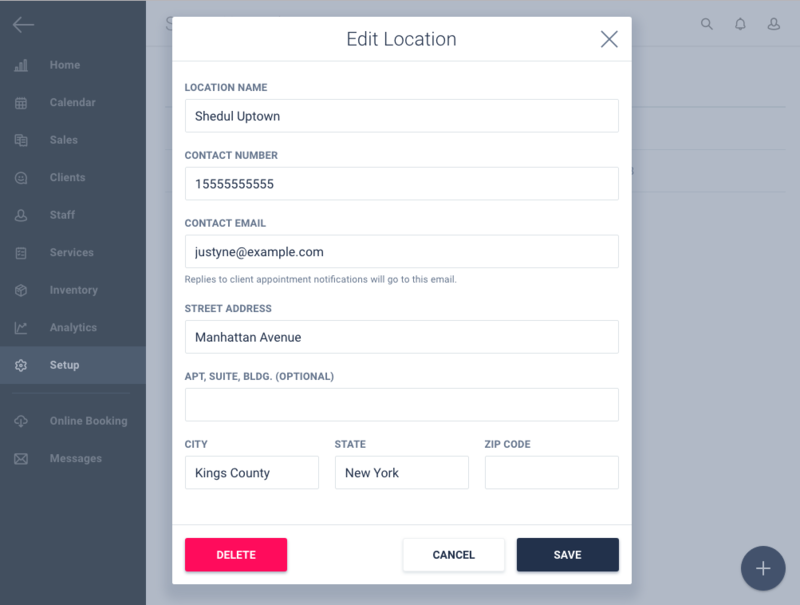 The Location details define the second part of your invoice. They include the location's name, address, and phone number. This is particularly important should you have multiple locations or if your registered business address is different from the physical location address. Since Shedul's features provide the option of multiple locations, we draw information from location details. Note: Only the Location Name, Address and Phone Number populate the invoice. Tip: Replies from client email notifications are sent to the email address provided within these location settings. 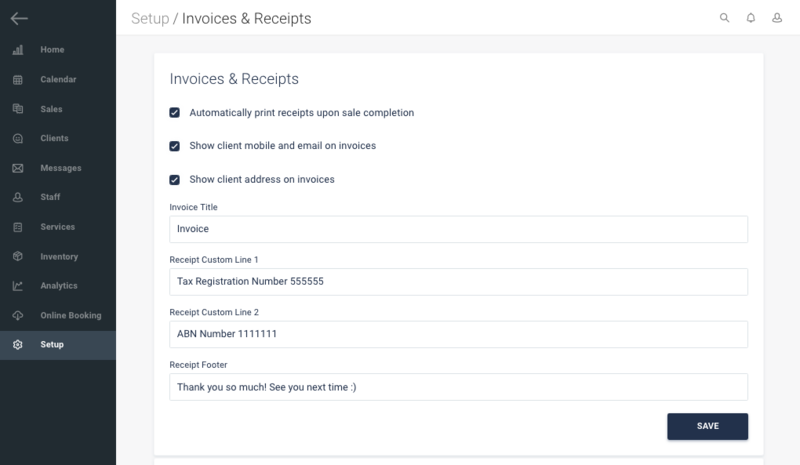 Tip: You can also add custom messages directly to individual invoices when checking out. After an appointment has been completed click Checkout > More Options > Invoice Details and add your Invoice Notes. These will appear at the bottom of the invoice. Once an invoice has been raised, the invoice number cannot be changed back to a lower number, as the system will have already assigned this number to an existing invoice so it is important to set up your number sequencing from the get go. You can, however, raise this number to anything higher. If you have raised the invoice number and have not yet raised a new invoice, there is still time to change it back down to a lower value. Note: The Invoice number Prefix along with the next invoice number will be added after the Invoice Title. Quite often it is a requirement to include the Provider Number onto the invoice. If you are the only Staff member providing services we recommend adding this to a custom line (see section 2). If however, you have multiple staff members, we recommend you include the Provider Number to the Staff Member's surname so this is displayed directly on the invoice. 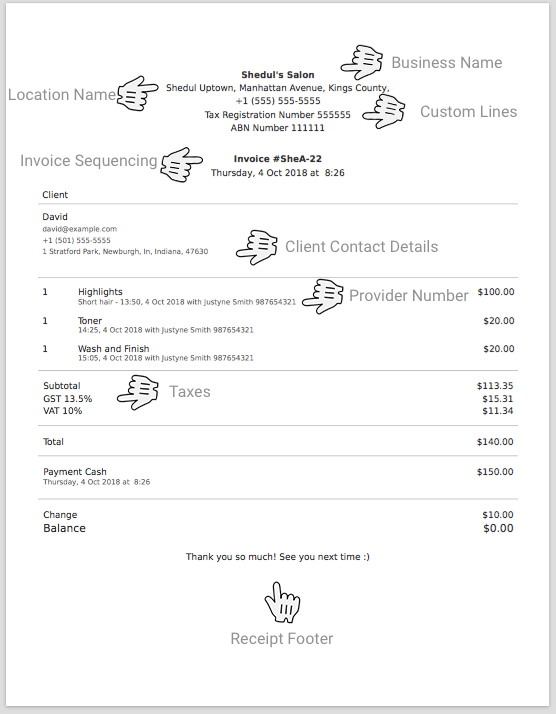 Now that you've filled out all your details, here is a breakdown on how the invoice looks after printing or downloading it. The invoice size will automatically adjust to your printer settings, should you have a smaller receipt printer or an A4 printer.